Recently, I tried the Sinister Sensorium with a twist! We still played the room in the manner it would usually go. “Senses” would be taken away from the players. Being in a group of four, we had one blind person, a deaf one and two mutes. It was definitely a challenge because that way we had to find a way to communicate in our current states. The twist is that there were a bunch of items within the room that we had to pair up with the ones in the Debby’s Doll room and communicating only using Google Duo. 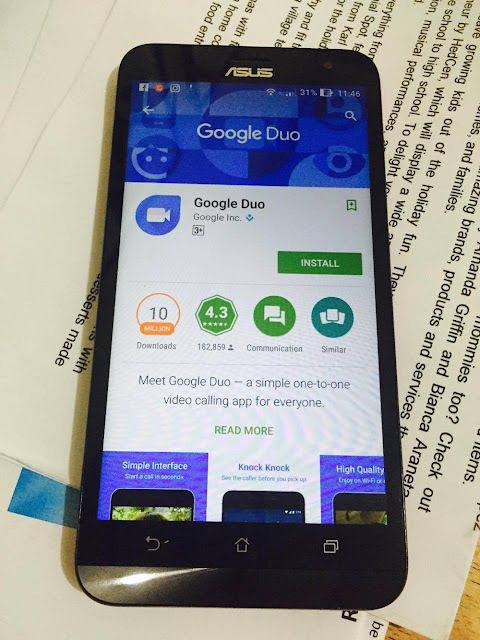 Google Duo is a one-to-one mobile video calling app that can be found on both the Google Play Store or the iOS App Store. The app is phone-number based, syncing your contacts to the app so you can use it without creating an account and to use it, you can use either a WiFi connection or cellular data. You can even switch from WiFI to cellular data seamlessly. It is a good video calling app because it connects faster than other calling apps and is built to handle slower networks. Although to fully enjoy it, a good and stable network works best. Also, there is a Knock Knock feature that can only be used here, the Knock Knock feature shows a preview of the caller on your phone for 30 seconds before pick up or before the call disconnects. Coming back to Mystery Manila, it was definitely a challenge to communicate with one of our senses missing but we managed to pull it off. We had this way of communicating where the blind one talks and asks the mute ones questions and we clapped to answer. Well the deaf one asked most of the questions regarding a video clue, helped the blind one out of his chains and then everything went on in a flash. We were done in no time and we actually the only group to finish a whole challenge. Yey!